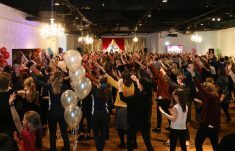 Bank of Ireland UK have officially smashed the GUINNESS WORLD RECORDS® title for the Largest tap dance lesson. 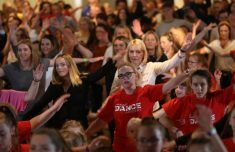 The record was broken at a special event held during Belfast’s Culture Night 2018 in the Europa Hotel on Friday 21st September 2018, where over 400 people took part in a 30 minute tap dancing lesson and three minute performance. 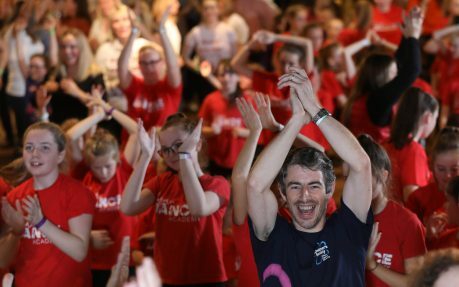 As one of the headline sponsors of Culture Night in 2018, Bank of Ireland UK collaborated with Visa to organise the world record-breaking lesson, which was led by Julie Dorman who runs Julie Dorman School of Dance, Belfast, Doagh, & Carryduff. She helped 445 people tap their way to the record with the youngest participant being 2 and the oldest being 87. 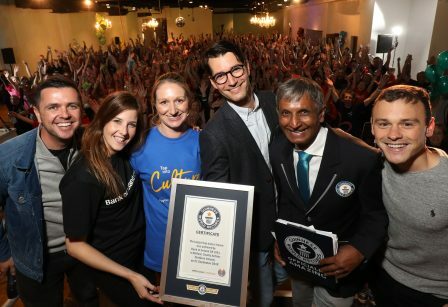 The previous GUINNESS WORLD RECORDS for the Largest tap dance lesson was set by 274 dancers in Queensland, Australia in 2017. Ian Sheppard, Managing Director Northern Ireland at Bank of Ireland UK, said: “We are extremely proud to be a headline sponsor for Culture Night 2018 and a key part of our support was joining forces with Visa to help make it easier for people to make fast, simple and secure contactless payments on the night. We also wanted to embrace the ethos of Culture Night by organising the world’s Largest tap dance lesson – which was a fun play on how easy it is to make contactless payments with a simple ‘tap’. This year, Culture Night celebrated its 10th anniversary with its largest event yet. 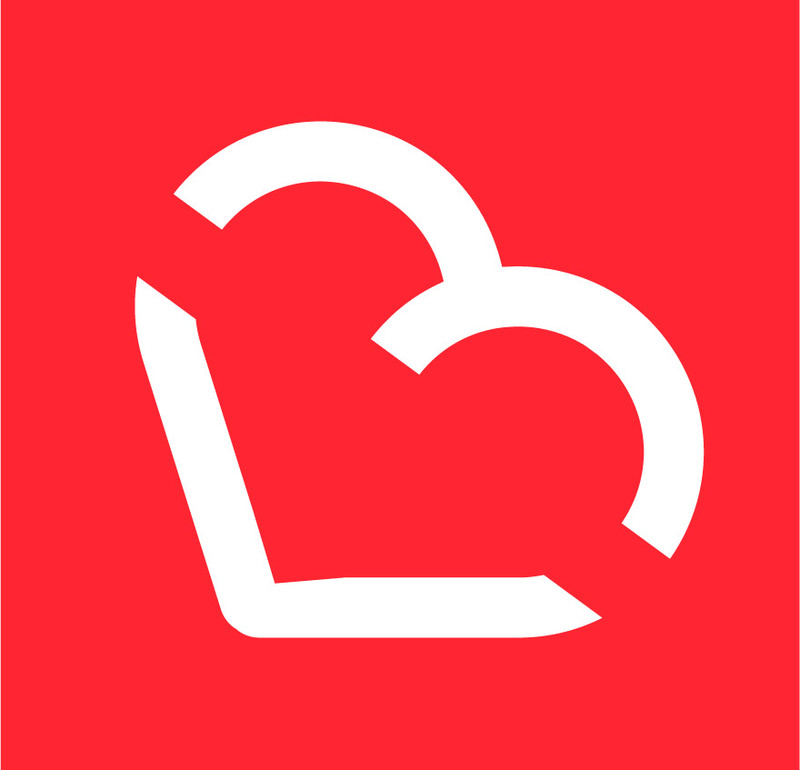 There were more than 250 free events across 100 locations in Belfast City Centre, attracting over 120,000 visitors from across Northern Ireland and beyond. Kerry Rooney, Culture Night Belfast Manager, said: “We are delighted that the GUINNESS WORLD RECORDS Largest tap dance lesson was broken at Culture Night. Culture Night is always an exciting night in Belfast’s busy cultural calendar and this year we broke our own personal record by celebrating our 10th birthday which was made all the more special by achieving a world record.